The relationship between tattoo artist and client is extremely intimate, in that there is a transfer of energy and artistry that will last forever. When I felt it was time to get my first tattoo, it was very important to me that my first artist be a woman. I felt strongly that I would be more comfortable entering such an unknown experience with a woman as the practitioner. It was also important for me to support a woman artist, considering that the tattoo industry is very male-dominated. The intentionality behind the search for my tattoo artist made the experience all the more special, and the result all the more beautiful. I imagine that the same is true for many queer and non-binary folks seeking to have tattoo work done by people who share in their life experience. So, I’ve rounded up a list of 10 woman and non-binary tattoo artists across the U.S. These artists vary in style, from delicate, minimal lines to more bold, complex pieces. If you’re looking to get work done sometime soon, consider supporting one of these artists by having them work their magic on your skin. 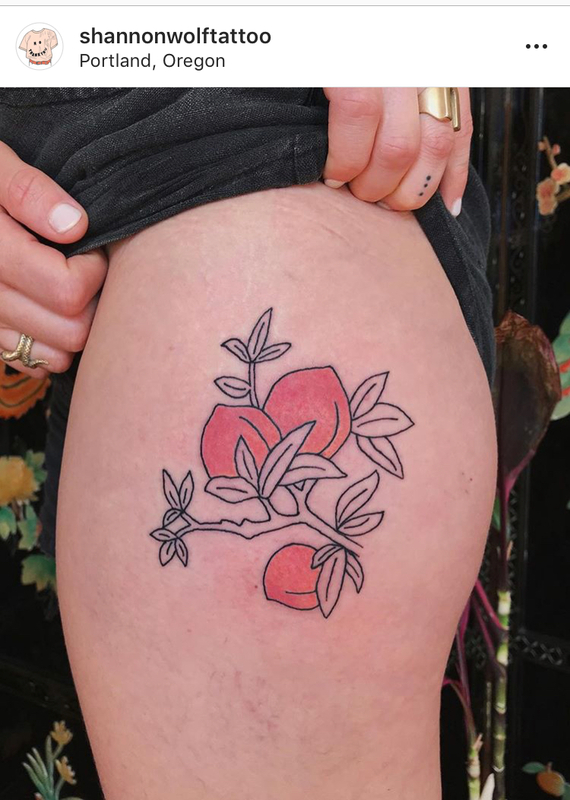 One wouldn’t have to dive too deep into Diana’s dreamy Instagram feed to see just how talented she is with her tattoo gun. Her often desert-inspired work is somehow simple and complex all at once. 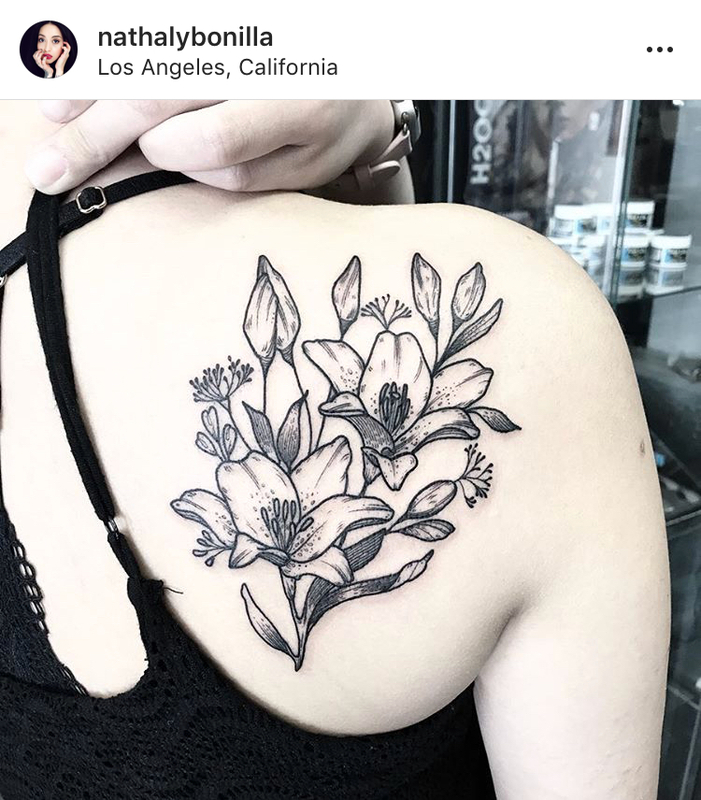 She’s based in Los Angeles and occasionally does flash tattoo sessions at various events throughout the city, as well as pop-ups in different cities around the U.S. As someone who has personally had work done by Diana, I can attest to her incredible talents, as well as her ability to make your tattooing experience special and memorable. Nathaly’s distinct floral designs celebrate the femininity of the natural world. Her work is often very playful in nature, incorporating animals and insects amongst her beautifully distinct florals. 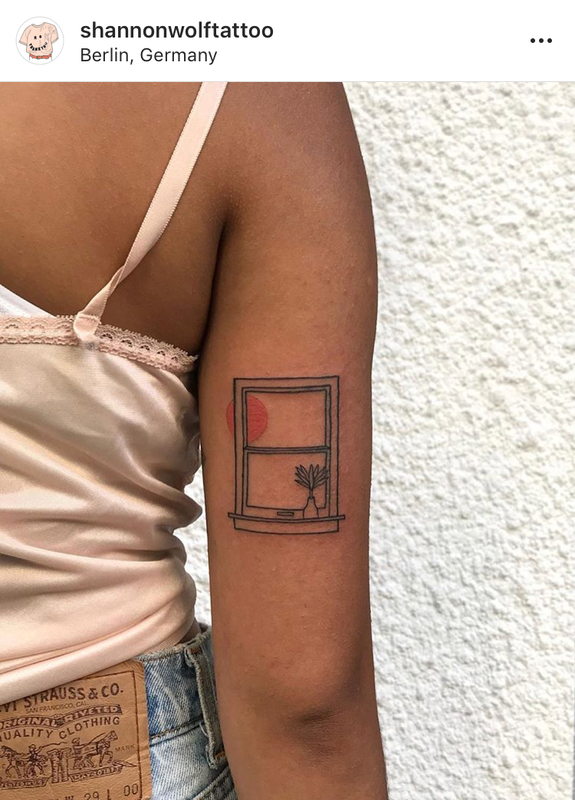 If you’re not quite ready to commit to a tattoo, Nathaly also has an online shop where you can find prints, tote bags and throw pillows with her beautiful, unique designs. 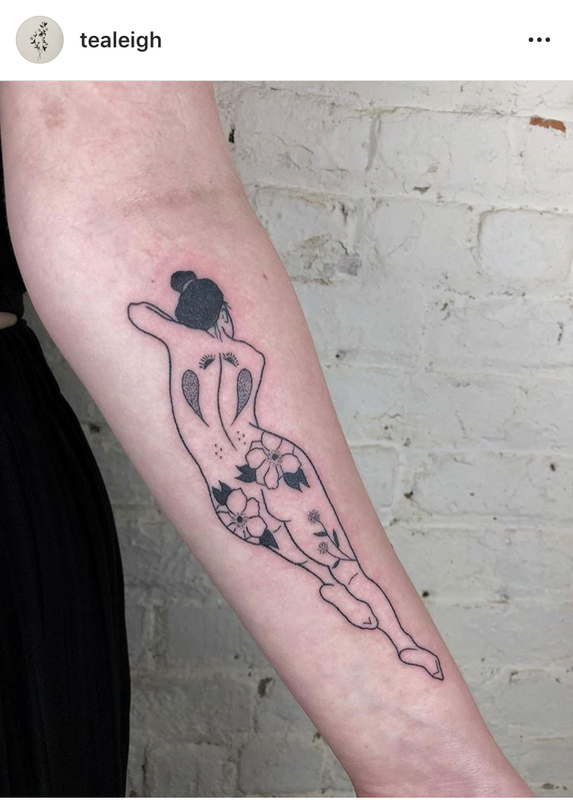 Anouk’s work has a special, intimate quality, characteristic of hand-poked tattoos. Her delicate yet striking designs exude an inevitable cool-factor. Her work often incorporates elements of nature and the divine, translated by simple lines and small details. Anouk is based in LA and occasionally pops up in various cities around the U.S. 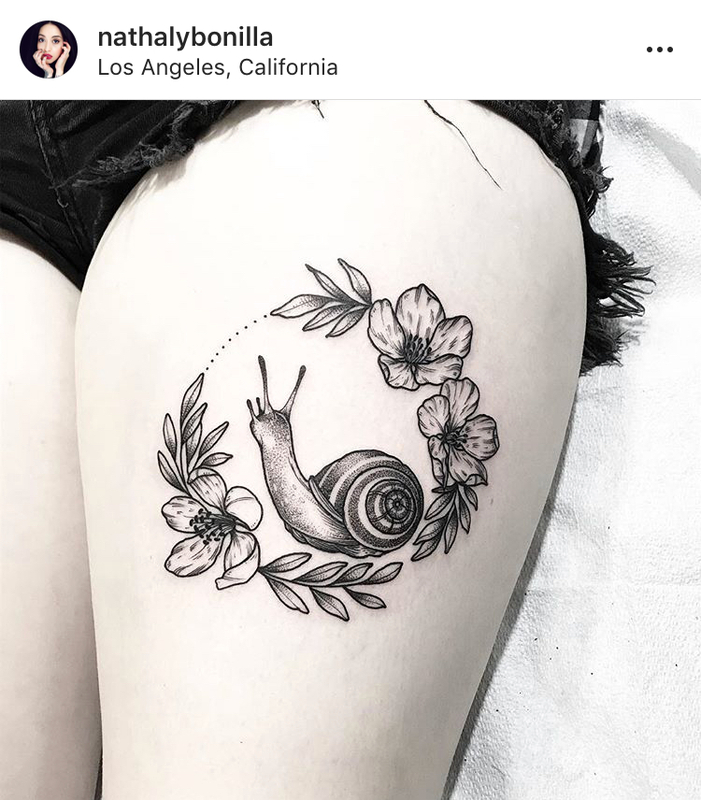 If you’re looking for an especially unique tattoo experience it’d be worth your while to check out her stuff. 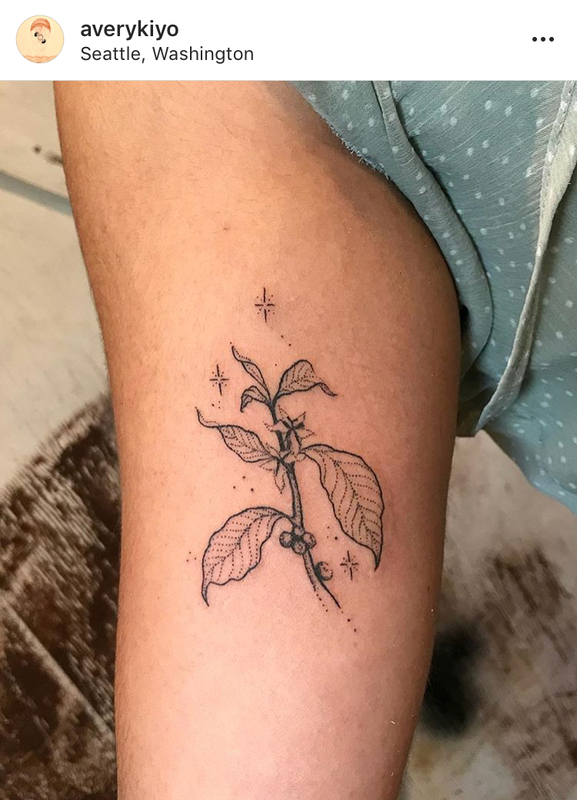 Tea is a non-binary hand-poke tattoo artist based in Brooklyn, NY. They are the co-founder of a multidisciplinary, queer-friendly tattoo studio and community gathering space called Welcome Home, in Greenpoint, Brooklyn. Tea’s work often focuses on elements of the human body, unashamedly highlighting the parts of the body that we are often encouraged to hide. They are passionate about tattooing all skin tones and creating a safe environment for all who enter the Welcome Home space. Their dedication to inclusivity is more than evident in their stunning work. A Brooklyn native, Rosa’s feminist values are more than evident in the magic she works with her needles. Rosa’s hand-poked creations celebrate the beauty of the divine feminine. 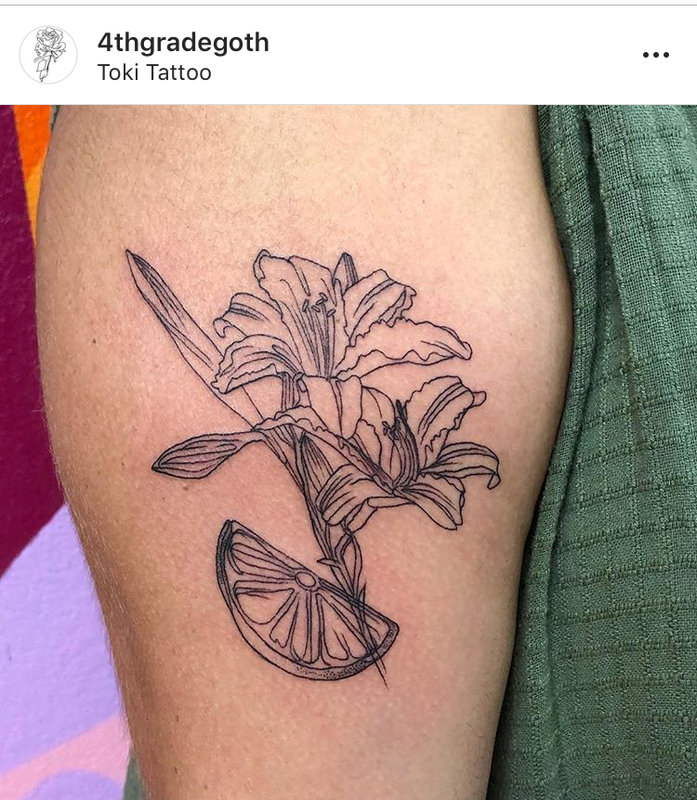 Not to mention her Instagram captions, which are just as intriguing as the designs she tattoos on her clients. Her less-is-more approach is perfect for anyone looking for a simplistic, yet powerful tattoo with meaning. Time Being Tattoo is a new women-run tattoo shop in Chicago. The founders, Keara, Sema and Emily offer a wide range of styles from the more minimal designs to more complex pieces with intricate shading and striking colors. Each of these artists, though differing in personal style, all exhibit an undeniably magical quality in their work. 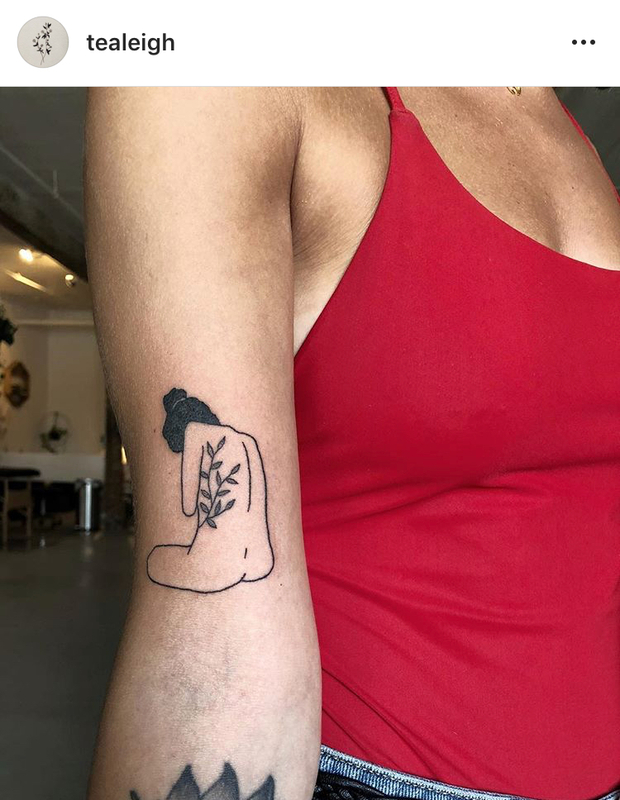 Whether you’re a Chicago native or plan on visiting the city sometime soon, this is your one-stop-shop for ink by badass women. Avery Osajima is a queer woman of color, whose hand-poked tattoos are quite literally out of this world. All jokes aside, though, her work has a cosmic through-line, making each piece feel connected in a way, even in their uniqueness. Avery’s hand-poked stars and galaxies are so fascinating, reminding us of the untapped beauty of the world beyond our reach. Check out Avery’s work to see exactly what I mean. Shannon Wolf is an artist working out of a queer and POC-inclusive space in central Oregon called Daydream Tattoo. Their minimalistic designs are augmented by pops of color, giving their work a simplistic, yet attention-grabbing quality. Their work is often cartoon-ish, honoring the child-like pleasures in life such as picking fruit from a backyard tree or setting a captured lizard free. For those looking for a bit of nostalgia in their next tattoo, Shannon is your person. 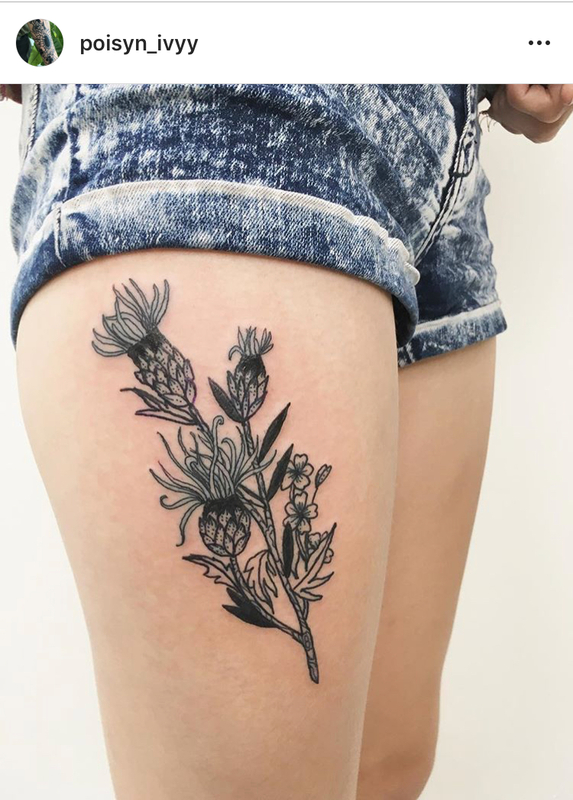 This Portland artist’s botanical tattoos are absolutely stunning. For those looking for something a little more detailed, Jordyn’s work is definitely worth checking out. Often focusing on elements of nature such as foliage and florals, her designs are just as stunning as they are unforgettable. Jordyn also works out of Daydream Tattoo studio, which offers affordable tattoo rates for all. 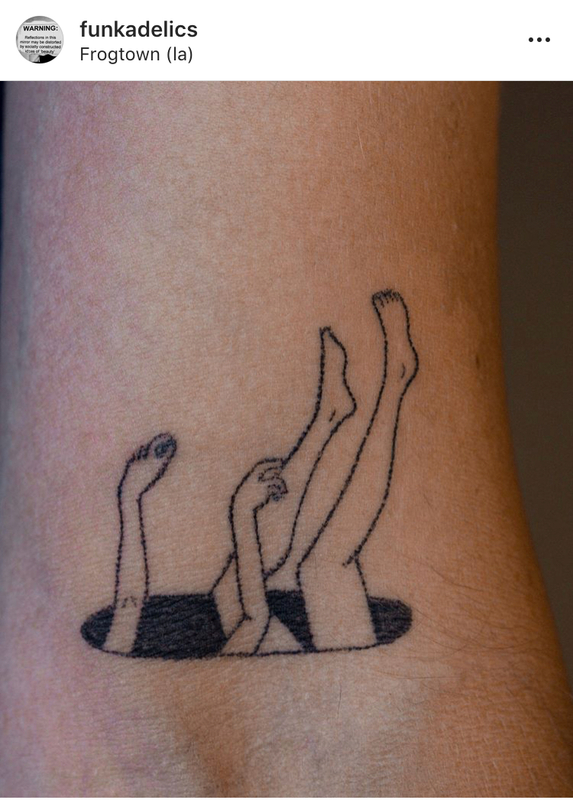 Alice’s intricate tattoos are fantastical in the most charming sense. 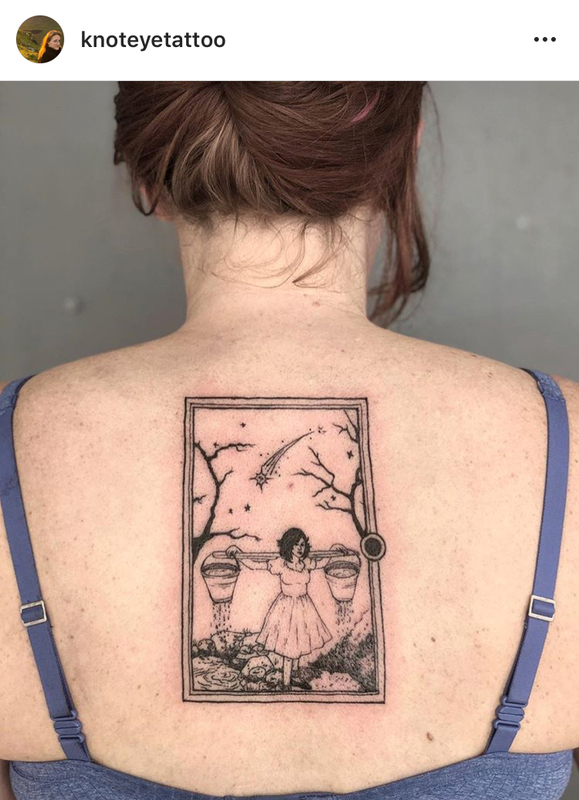 Each piece looks like something out of a storybook, each tattoo telling a unique story on its own. Alice works out of her studio in Indianapolis. Her books are only open every so often, and clients must submit an application before scheduling an appointment. This process alone makes the tattoo experience with Alice that much more intimate and special. So, if you’re native to Indiana and have an idea for a piece that’s within Alice’s wheelhouse, keep her on your radar!